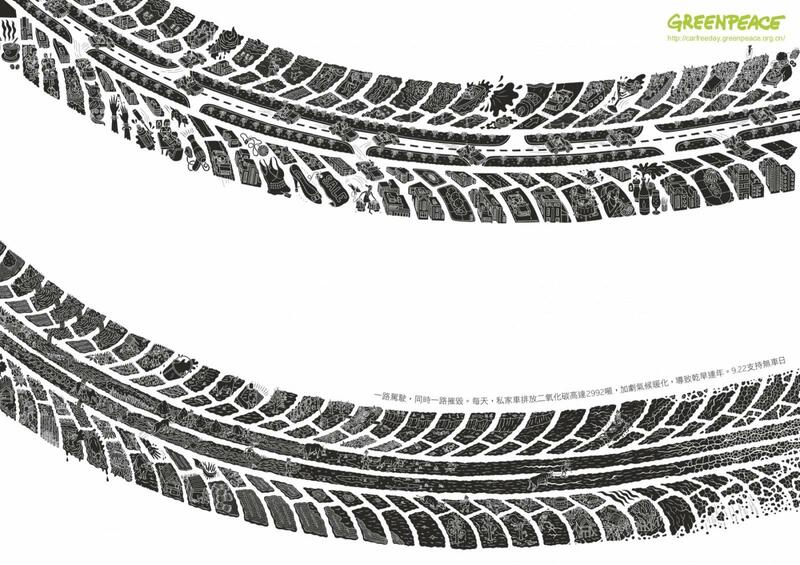 Greenpeace in China promoted Car Free Day, an event held on September 22, 2010, with a print advertising campaign featuring tire marks with a difference. 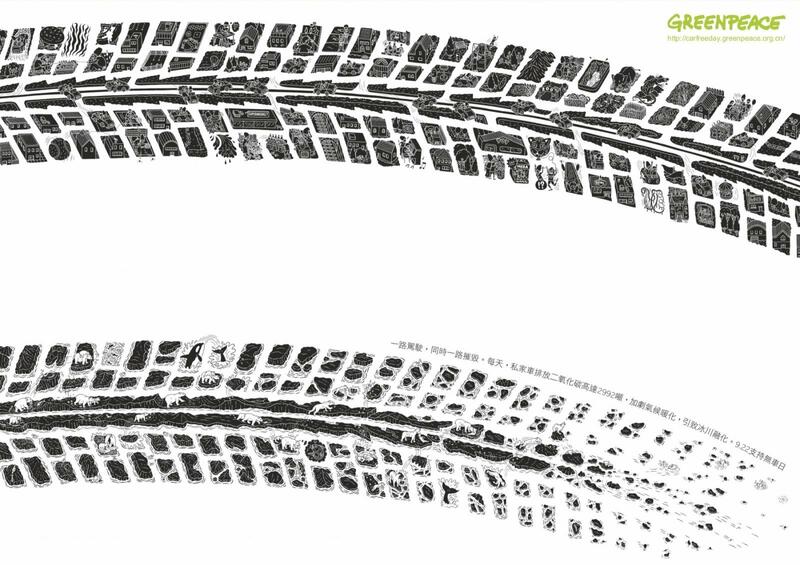 Examined closely, the three print ads, Drought, Melt and Flood, reveal detailed illustrations portraying the impact of climate change on people, animals and the environment as a whole. 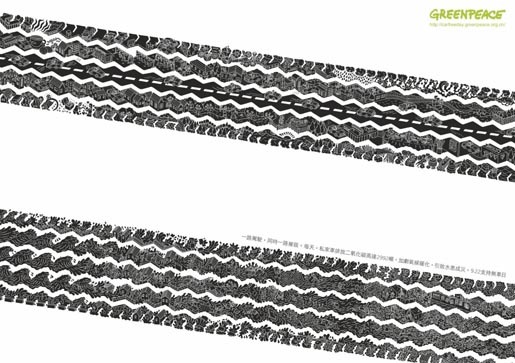 The top tire mark shows the myriad car trips that people take in a day, such as driving to the supermarket or to school. The bottom tire track shows the environmental impact of these journeys, such as a polar bear’s sad demise due to melting ice. 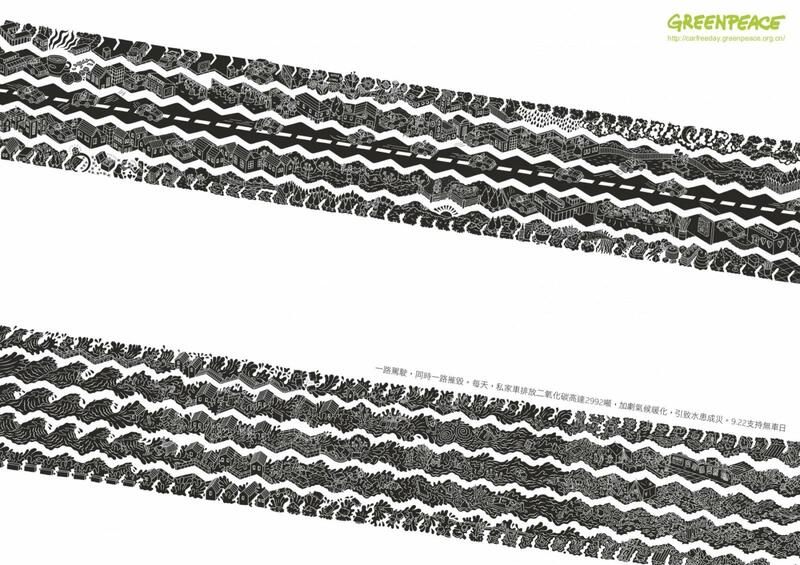 The campaign won Gold and Silver Press Lions and a Bronze Outdoor Lion at Cannes International Festival of Creativity. Click on the thumbnails below to see more. The Car Free Day campaign was developed at Leo Burnett, Hong Kong, by executive creative director Connie Lo, creative director/art director Brian Ma, creative director/copywriter Alfred Wong, creative director/copywriter Wen Louie, art director/designer Nicky Sun, art director Kenny Ip, copywriter Joey Chung, advertiser’s supervisor Fanny Lee, account supervisor Sherona Mak, and illustrator Matt Johnstone.